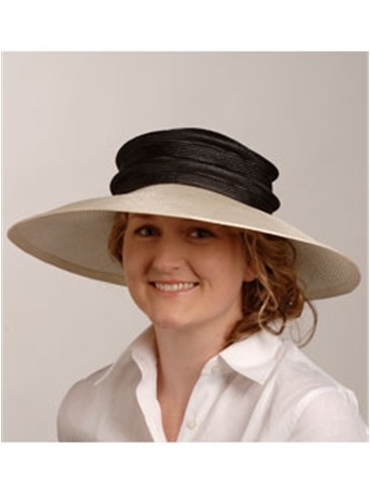 Wide natural brim hat with a black top, made in Italy. One size, with an inside band for comfort. Brim is approximately 5 1/4", and the height measures 3 1/2".